Robusta Coffee vs. Arabica Coffee: Which One Should You Choose? 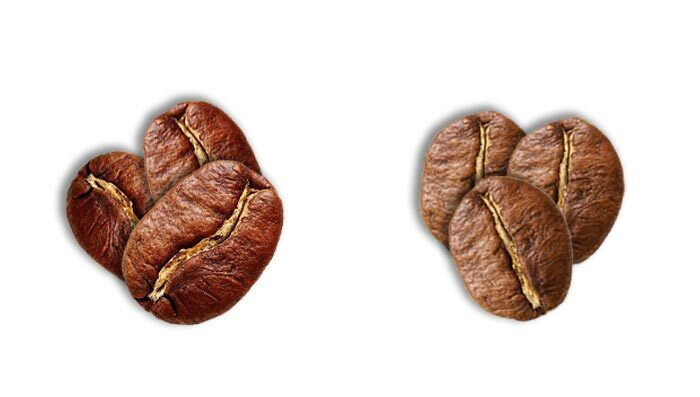 All coffee beans almost look the same once roasted. But, the fact that coffee comes from the plant, divides it into genetic families. Believe it or not, there are actually 120+ coffee species! Among them, the two primary types really matter for the taste of your coffee are Coffee Arabica and Coffee Robusta. Are you curious about how Robusta Coffee vs Arabica Coffee? Get your brew ready and let’s dive into the coffee world. How do Robusta Coffee and Arabica Coffee differ? Significantly! They are almost different in all aspects, including taste, growing region, and price. Heads up coffee drinkers! Do you really know the type of coffee you are drinking? 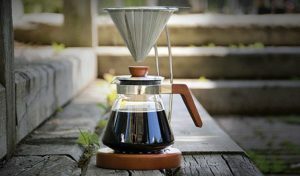 Robusta Coffee or Arabica Coffee? We bet on Arabica Coffee. Why? You’re going to find out soon. Robusta Coffee is a type of coffee made from coffee beans of Coffea Canephora plant. It’s scientifically known as Coffee Canephora, producing around 25% of the world’s coffee beans every year. And Vietnam is the largest producer of Robusta beans. As a resilient little plant, the Robusta coffee plant is disease and climate resistant. Because of these properties, you can find it’s growing in hot temperatures and low altitude (under 600 meters). Nowadays, it largely grows in the Eastern Hemisphere, mainly in Africa and Indonesia. The flavour of Robusta Coffee is not as strong as the plant. Robusta plants grow many leaves and cherries and individual coffee bean only gets a small share of nutrients. This directly results in low flavour quality. One word you can describe Robusta Coffee is – boring. It is low in almost everything, including sugar, acids, and fats. To make it even worse, Robusta beans are super bitter because of high caffeine and chlorogenic acid. But if you need a quick caffeine boost, try Robusta Coffee. It is able to keep you energetic for the whole day! Although Robusta Coffee plants are pretty easy to farm, it only cost ½ for consumers compared to Arabica coffee. Why? You are about to find it out. Arabica Coffee is made from coffee beans of Coffea Arabica plant. You might have noticed “100% Arabica coffee” printed on your favourite coffee bean bags. As a matter of fact, the remaining 75% coffee in the world is under Arabica species, including your favourite one. The largest producer of Arabica Coffee is Brazil, followed closely by Colombia. Unlike Robusta plants, Arabica plants are sensitive to disease and climate change, which makes it much more difficult to grow. This high-quality coffee plant prefers temperature 15°C – 24°C and high altitude (600+ meters above sea level). Thus, it mainly grows in countries of South and Central America. And the best quality beans are in Africa and Asia. Since Arabica plants have few leaves and cherries, each coffee bean gets more nutrients. This leads to its wild and strong flavors. Compared to Robusta Coffee, Arabica coffee contains not only twice more sugar but also 60% more fats. Besides, high-quality Arabica coffee is able to provide you with hints of chocolate, caramel, and fruit. As a result, it’s rich, sweet and aromatic taste makes it the favourite for coffee drinkers. Robusta Coffee vs Arabica Coffee Winner? It looks like all the yummy coffee in the cafés are Arabica coffee. That’s right. But does it mean you should only go for it? Not really but we’ll suspect you’ll like Arabica beans better. We are proud of our diverse Arabica Coffee types. Make sure to check them out here! Now that you know robusta coffee vs arabica coffee, why not try both? And let us know what’s your favourite type! 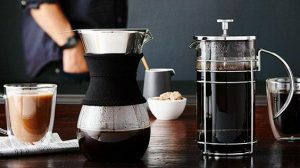 This entry was posted in Coffee & Coffeeware. Bookmark the permalink. YOUR NEXT CUP COULD CHANGE A LIFE. Brew, steep, refresh. Your cup, your way. Your purchase gives safe water. Every product sold funds 50+ days of safe water for those in need. More People Have Access to Cellphones than Safe Water- Where did we go wrong?